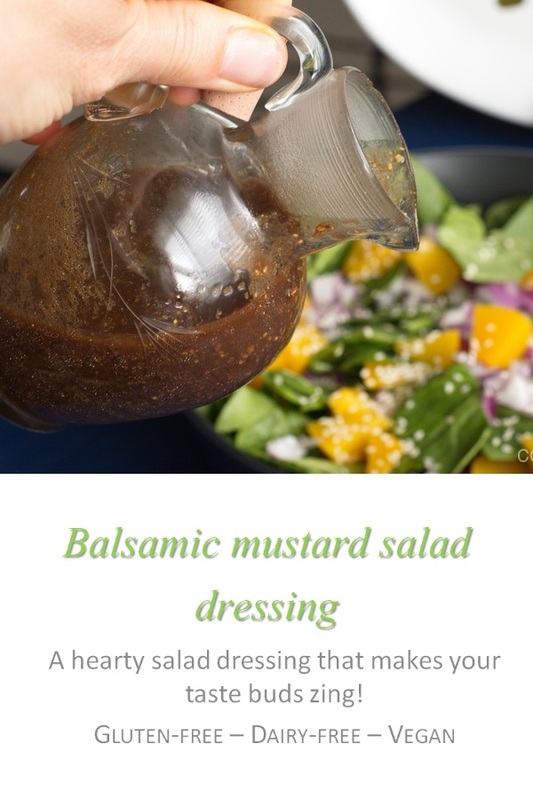 This balsamic mustard salad dressing is so awesome, and can be used in other salads, as it gives a special oomph to what can be a pretty boring meal. 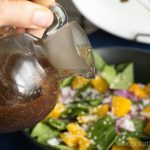 I came upon this salad dressing recipe from searching through peach salad recipes (see here for the one I tried and had great success with). But the dressing that came with this salad was just so awesome, and can be used in other salads, I wanted to put it separately for easy reference! I had it with just a tuscan salad and sliced meat recently and it was so tasty – it gave a special oomph to what would normally have been a pretty boring meal. Now you can use either normal sugar, or raw sugar, or coconut sugar. Just depending on your preference – I’ve even used just apple juice to make it Whole30 compliant. 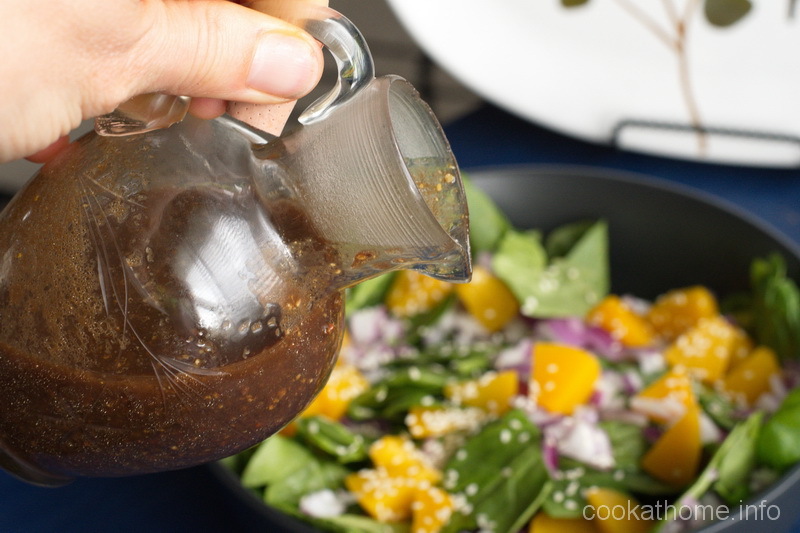 But I can’t mention it enough – this balsamic mustard salad dressing is just a great dressing to have on any salad! Mix all ingredients together and pour over salad just before eating.